Comet Bay College Café – Introducing Prestige Catering and Event Hire! Prestige Catering and Event Hire is a Rockingham based, family owned business that has been operating for the last 17 years. The Manager, Michael McCafferty has been in the hospitality industry for 33 years and operating school canteens as part of Prestige Catering for the last 6 years. 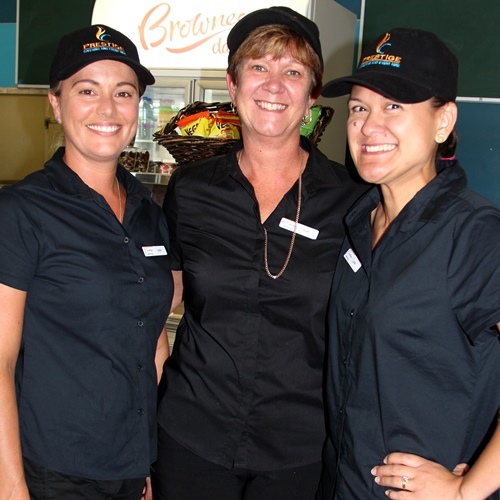 Prestige focus on preparing a variety of fresh meals and a reduced amount of processed foods, and they aim to offer Comet Bay College Students and Staff all of that, in a friendly and efficient manner whilst representing value for money. Prestige are also able to cater for special dietary requirements, please contact Administration for further information. Students are encouraged to place orders before school each day to avoid any service delays. The canteen is open from 8am – 2.00pm Monday to Friday.